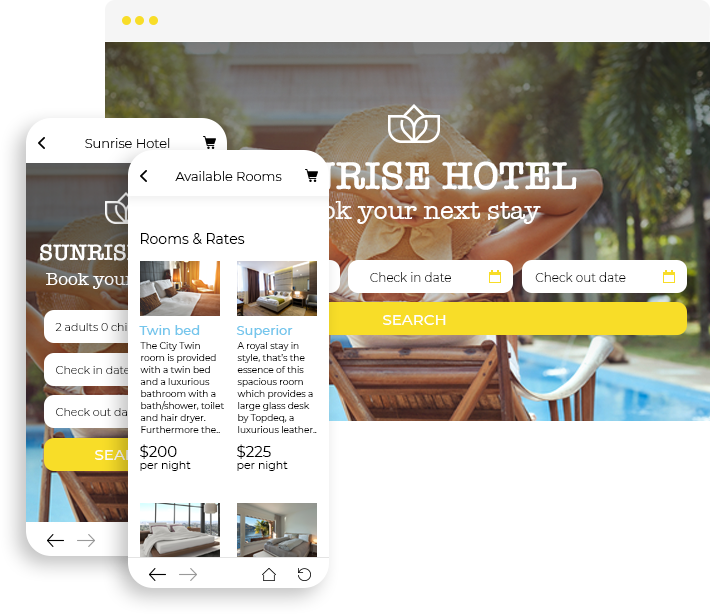 Present content from your website, special features, login page to a separate area dedicated to VIP clients, employees or business partners, complicated forms to gather leads, or a special service provided via a webpage – all as part of a page in your app. Keep your clients within your app, even when they are browsing external web pages. Some websites, such as this Real Estate Agency’s website, requires a secured area for some of its users. 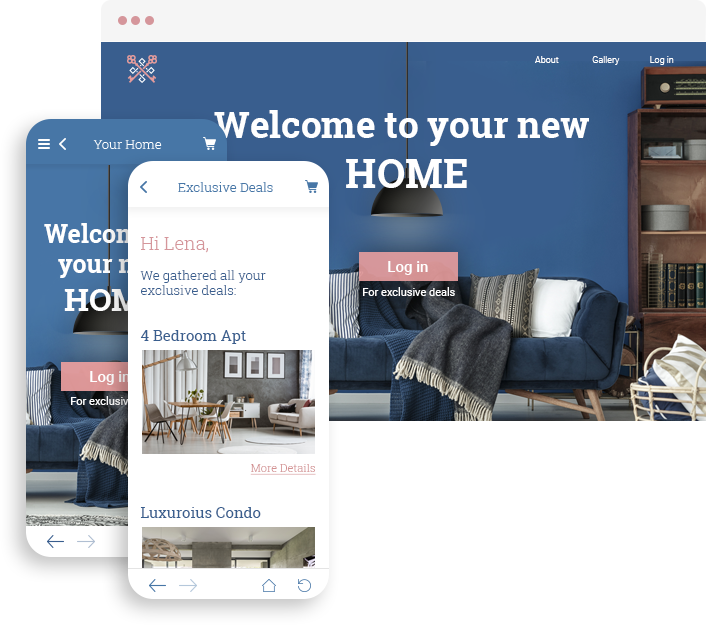 In this case, real estate agents are provided with a username and password to log in to a web page with exclusive listings. This page can be viewed and logged in to within the app using the Web Link feature. 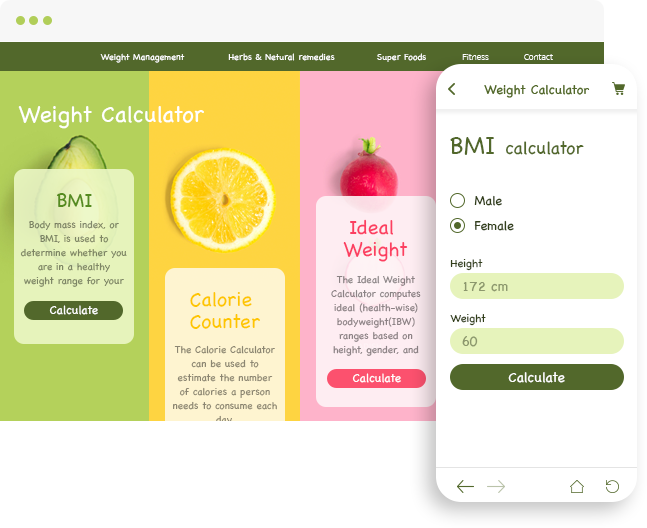 Websites with complicated forms, such as a BMI calculator or a Calorie Counter tool can link their web page to the app. This provides the app users the functionality of the website, without the need to code to save time and resources. Add a reservation to the app, no coding required. 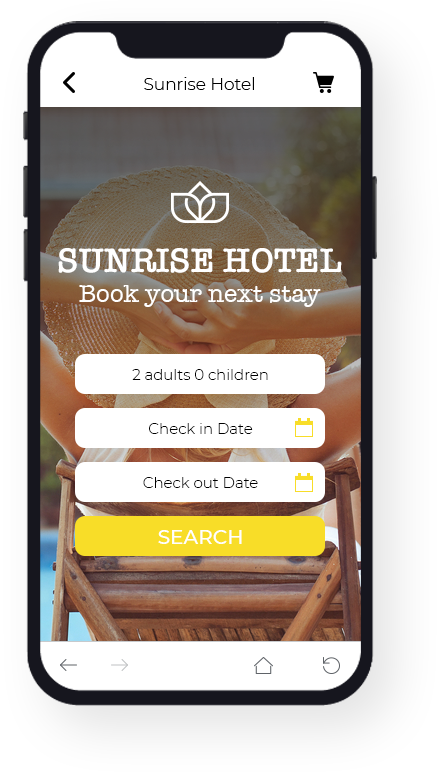 The reservation form enables clients to check availability, get a quote, recommendations, price comparisons and book their vacation, all from the app. No coding required, just link the webpage.